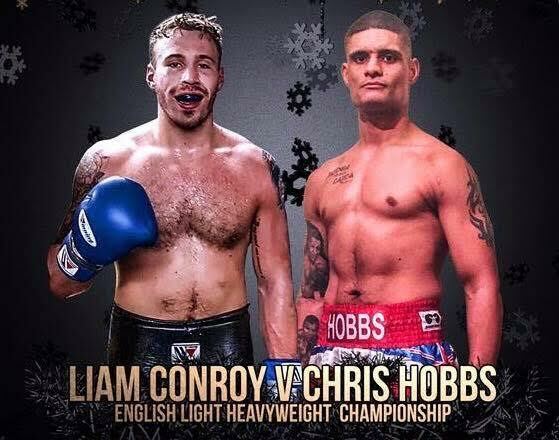 Patience is a virtue for Liam Conroy and Chris Hobbs who have faced an extended wait to defend and go toe-to-toe for the English light-heavyweight title. The duo were set to meet in Preston last week at the Park Hall Hotel in Chorley. However, that show did not go ahead and the clash between Conroy and Hobbs has been re-arranged for this Friday on BCB Promotions’ ‘the Rising’, where it now takes top of the bill status. The show, which also features, Birmingham heavyweight, Matt Sen, debutant Mussab Abubaker, Coventry’s Dilly Singh, and Tividale’s Ryan ‘Stewart’ Davies takes place at the Venue on Icknield Port Road in Edgbaston, Birmingham. “I’m feeling great for this fight. The postponement doesn’t mean much to me but an extra week on my diet, added Southampton’s Hobbs. “This has by far been my best training camp. Maybe it’s down to my nutritionist I brought in this time called ‘Pro Nutrition Clinic’ or maybe I’m more settled in at Red Corner gym now, but everything has gone great. “Sparring has been brilliant, my fitness is great and I am in the perfect position to make history and now the fight has been moved a little closer to where I am based I hope to have a few more supporters there.